In addition, you will need a visa in order to enter Nepal, from where all our trips to Tibet begin, Again, citizens of virtually all countries requires this, but it is in general easily obtained on arrival at the airport for EU, North American, Australian, New Zealand, Israeli, and South African citizens. On occasion the visa on arrival at the airport can be cheaper than in your home country. Check with the consulate or embassy of Nepal closest to you. If you are applying for a visa on arrival or prior to departure, your passport must be valid for at least six more months, and you must carry a passport-sized photograph. A visa on arrival costs US$30 for 60 days, single entry, and $50 for double entry. Please note that visa and permit fees could change at any time, and in the event that happens, we reserve the right to levy an additional charge on clients. Airport tax: Visitors must factor in an airport departure tax of Nepali Rs 1,795 for international flights (Rs 1,400 if flight is terminating in a SAARC country), as well as NRs TKTK for each domestic flight. Reaching Kathmandu: From the time you land in Kathmandu until you depart, we take care of whatever you need. 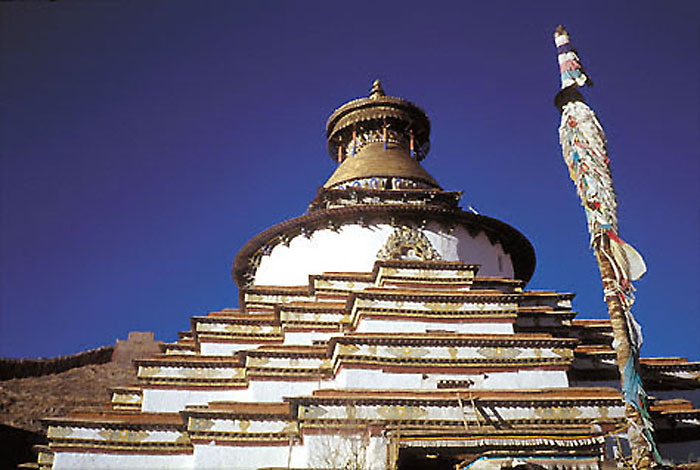 Where the package includes a one-way or round-trip flight between Kathmandu and Lhasa, this cost is included in the price of the package, as is all road-transport described in the itineraries. What we cannot do is reserve your international flight from and to your home (see Costing under Terms and Conditions). Discuss this with your travel agent at your end and do consider that if you fly via New Delhi or Bangkok, your flight options - and reliability - increase dramatically. Some of the best connections you can make are with Thai, Gulf, Qatar, Austrian (in season), Druk Air, Air China, Phuket Air, and other Indian and international airlines such as Indian Airlines, etc. Currency: The currency in Nepal is the Nepali Rupee. Most major international currencies and travellers' cheques can be exchanged in Kathmandu. Tourists commonly bring in US$, UK£, Euro, ChF, Aus$ etc. If you keep your foreign exchange encashment certificate, or exchange office receipt, you may change back any remaining Nepali Rupees at departure. The currency in The People's Republic of China including the Tibetan Autonomous Region is the Yuan. Money can be exchanged at bank branches in Zhangmou, Xigatse, and Lhasa. 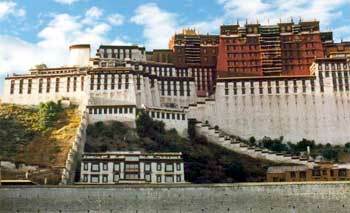 In Tibet rely more on cash, as outside Lhasa it can be very difficult to pay with credit cards. In Kathmandu major credit cards (except American Express) are accepted and ATMS will usually dispense cash on foreign credit and debit cards too. Banks work weekdays 0930-1500, though some of the larger banks have one counter open in the city throughout the day and on all public holidays. Kantipath and Darbar Marg, close to the tourist and shopping centre of Thamel, house a number of banks including Standard Chartered (who issue cash advances against Visa and Mastercard with no commission), Nepal Investment Bank, and Nabil Bank. All through Thamel money exchange counters are open from 0800-2200 and offer reasonable rates. There is no real tourist black market for foreign currency any more. 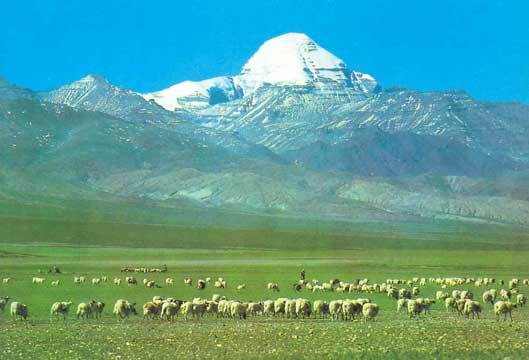 Weather and clothing: Generally people consider April-Oct the best time to visit Tibet. 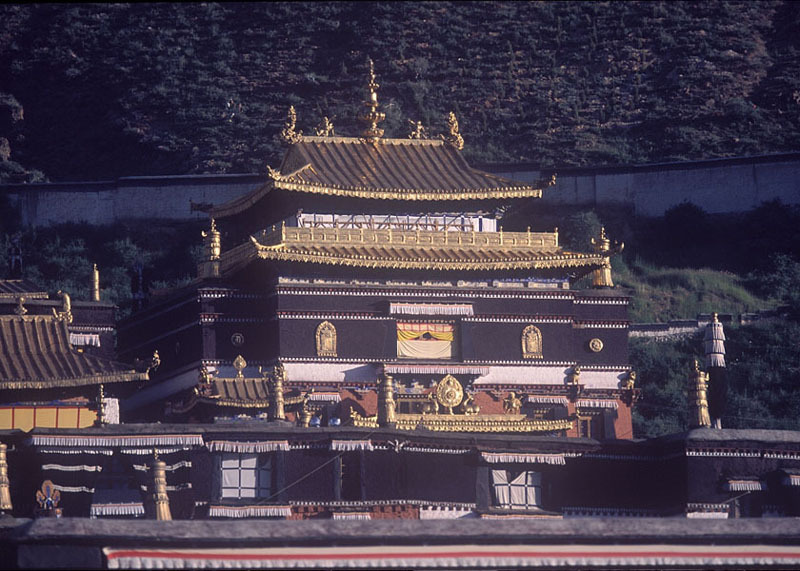 In reality, however, it is important to remember that around Lhasa, in particular, it does not really snow much in the winter and hotels are often heated. Travelling out of season can be very enjoyable given that some important festivals fall during this time, and that the sights are simply less crowded. 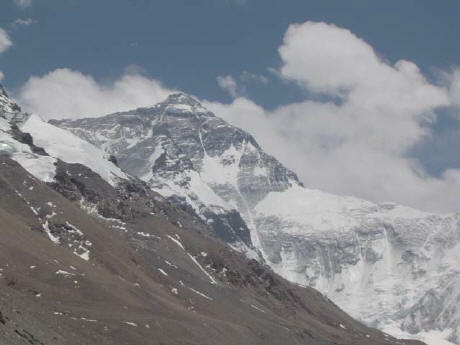 Because of the high altitude of the Tibetan plateau, when visiting in warmer weather, too, be prepared with layers - long-sleeved T-shirts, light fleeces or wool sweaters, and windstoppers are all extremely handy; this is the most effective way of dealing with what can be quite a wide spread of temperature through the day. In the winter bring a warm down jacket, gloves or mittens, a hat and a scarf. Remember that outside Lhasa, Xigatse and Gyantse not every stop will or can offer centrally heated rooms. Insurance: All our clients must purchase travel insurance at home before they leave for their trip. Those planning on trekking are advised additionally to make sure that their insurance covers the eventuality of a helicopter rescue/ evacuation to Kathmandu, repatriation to their home country etc. It is not possible for travllers to buy insurance here. Health care: No vaccinations are required for travel to Nepal and Tibet, though some do take shots against hepatitis. There are a number of reputed hospitals in Kathmandu, and three clinics specifically for travellers. 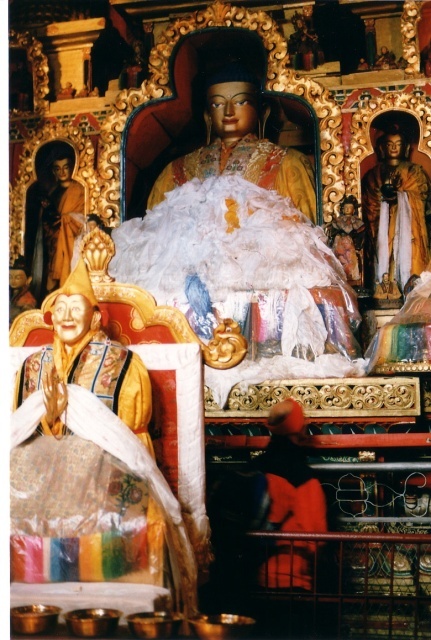 The best known is CIWEC on Darbar Marg, near the tourist and shopping centre Thamel. 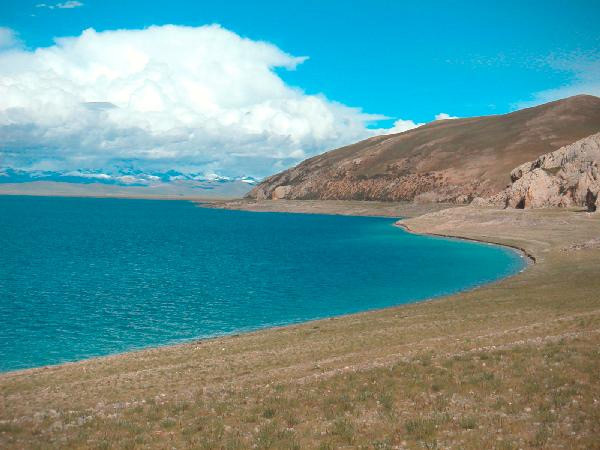 The high altitude in Tibet means that you must take it easy with physical exertion, smoking and drinking alcohol. Instead drink plenty of water and tea. 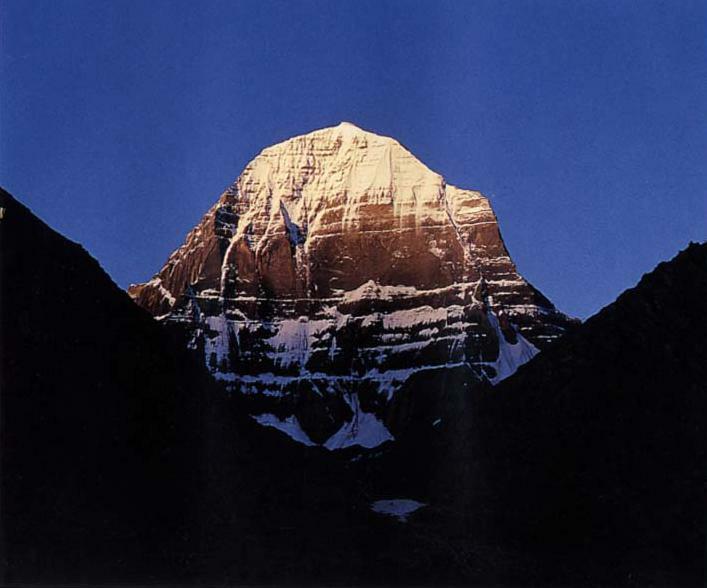 Be especially vigilant about how you are feeling on the Kailash trips. In either case ensure that all medical conditions are under control and that any medication you take will not interfere with Diamox, which is often administered to ease some of the symptoms of the acclimatisation process. The sun in Tibet is extremely intense and unless you are careful you will be unpleasantly burnt. Be sure to bring good quality sunglasses as well as high SPF sun cream or even a zinc-based one. In general, travelling in Nepal and Tibet is safe, health-wise, and there is no reason you should fall prey to gastro-intestinal disorders if you take common sensible precautions with food, drink, and personal hygiene. Take particular care especially in Tibet; if bottled water is unavailable, drink only what you know has been sterilised, or do so yourself. Ensure you wash your hands with soap, or use an antibacterial sanitising gel before you eat or drink. Hotel accommodation: Tin-Tin Trekking provides tourist standard accommodation in Kathmandu in hotels close to the agency as well as the tourist, recreation and shopping centre of Thamel respectively. If, however, you wish to stay in a particular hotel or simply a different class of hotel, please let us know. We can usually arrange a discounted rate for our clients at most hotels. Check www.nepalhotels.com for more information. All hotels we organise will store your remaining baggage when you are on a trek or tour. In Tibet there are officially classes of hotels and often there is not much to differentitate them by. In general Tin-Tin clients stay at well-reputed budget hotels such as Flora in Lhasa. There are all the amenities you need in Lhasa in hotels, but outside be prepared for even deluxe hotels to sometimes leave something to be desired. Restaurants: In Kathmandu you will be accommodated in localities that house many different kinds of restaurants. We can direct you to usually reliable, clean restaurants in a variety of price ranges and catering to tastes ranging from traditional Nepali dal-bhat to steak. Just bear in mind that many restaurants in Kathmandu, take last orders around 2100-2200. Tipping: Tipping is catching on in Nepal. How much you leave depends, naturally, on the service you get, but also on the scale of the restaurant. At a smaller, cheaper restaurant a few rupees usually rounds up the bill and is adequate, while at more upscale western-style restaurants you can round up the bill and add a little, or leave anything from 5-15% depending on how satisfied you are. If you want to tip the staff, do so at the end of your trek or tour. These are only suggestions based on what people have found reasonable to give in the past - for guide/ sirdar and cook: Rs 100-200 per day for the group. For porters, Rs 50-100 per day for the group. Shopping: Kathmandu is a shoppers' paradise. There is something for everybody, from adorable handknitted woollen outfits for children to trekking and climbing gear, from inexpensive silver jewellery to very expensive amber and turqouise, from thangka paintings (Buddhist religious art) to pashmina shawls, and great deals on cameras and cotton clothing. The key to not over-paying is not buying the first thing you see, no matter how much you like it. Look at similar merchandise in a couple more shops, compare prices and quality, and even try your hand at bargaining. Bargaining does not have to be hostile or exhausting - if you treat it as a game and don't try to beat people down to the lowest possible price - it's just a few rupees difference. Barring shoes, you should be able to buy a lot of items you need for your trek in Kathmandu. You can often get better deals for gear in Tibet, but note that whether you buy in Kathmandu or Lhasa, the quality of the imitation windstoppers, down jackets, Gore-Tex gear, and fleece gear varies, but it is possible to get quality products for a lower price than back home. If nothing else, most of the gear is suitable for at least one trek. Look out for the slightly more expensive - but original - Chinese-made branded gear from Mountain Hardware and North Face. These are worth the money. Also available at reasonable prices are original head lamps, high-performance socks, ski/ trekking poles, some climbing gear, and quality sunglasses. Electricity and electronic equipment: Devices run on 220 volts here, so be sure to bring converters for 110V devices. While most wall sockets are the round three-pin variety, there can sometimes be a frustrating variety of outlets, and it is best to have at least one plug adapter. If you are bringing along sensitive electronic equipment, also include a surge protector/ voltage stabiliser. While there is no real electricity in some areas along the trekking trails, many villages have improvised and possess generators, micro-hydropower plants, or solar-powered batteries, and will allow you to charge your equipment and batteries for a fee. Photography and video, and other etiquette: There is a surprisingly good range of film-based and digital still and video cameras in Kathmandu, as well as accessories available, but to be on the safe side bring along whatever lenses, memory sticks and filters you anticipate needing. The etiquette for photographing people, images of gods and godesses, temples and other religious monuments is the same as anywhere in the world. Do ask if you're in doubt about whether it is okay or not. In places where you are instructed that photography is prohibited, please be sensitive to the requirement. For example, at Pashupatinath temple, where tourists are not allowed close to the cremation pyres, you might see some standing across the river taking pictures with telephoto lenses. In this case ask yourself if one mediocre picture is worth your intruding into someone else's grief, and decide for yourself. In Tibet be careful to not initiate discussions on politics or politicsed religion in any shape or form. While you can definitely get in trouble for this, it is even worse for the Tibetans with whom you bring up these subjects - they don't have the option to leave to avoid official censure or worse. In addition travellers are advised to think twice before carrying pictures of the Dalai Lama to hand out to Tibetans . Beggars: In general begging is frowned upon in Nepal and there aren't many beggars, but tourist areas are the exception and there are a few. Please do not give them money. As you will see, a number of them, most noticeably the young boys, are junkies, hooked on sniffing glue or slugging cough syrup. Your 'charity' will feed either their habit or that of their parents. It is perfectly okay to give them any food items you may have, ensuring however that you open the package before giving it. This is not as patronising as it sounds; it is a way to stop them selling it for a little cash to someone else and often then supporting their drug habit. In Tibet, follow what the locals do, and unless a beggar is obviously a devotee on pilgrimage do not give any money, whether to adults or children, no matter how raggedy they look. Miscellaneous suggestions: When you visit the historic old quarters of Kathmandu, Patan, and Bhaktapur, do make sure that the official puts down your name and passport number and the date of purchase on your ticket. You then have access to these old squares for the length of your stay without having to pay again. Also, while the both ways flying option between Kathmandu and Lhasa offers magnificent Himalayan views, going by road can be fun and give you a chance to see more of the two countries. If travelling by road one or both ways, it is advisable to carry some of your own dry snacks such as nuts, chocolate and biscuit, fruit, and water.